After months of campaigning against deforestation and palm oil production in West Papua, the South Sorong administration has finally conceded to the villagers’ demands and handed over permits to the Siri and Manggroholo village representatives to manage their own forests. This not only marks an important victory in the fight against deforestation in West Papua, but furthermore illustrates to the whole world how ecosystems can be locally managed so as to respect local communities’ and indigenous peoples’ land management rights. As deforestation in the context of economic expansion continues in Indonesia and elsewhere, it should not be forgotten that “land is a cross-cutting issue that impacts directly on the enjoyment of a number of human rights”, as the Office of the United Nations High Commissioner for Human Rights reminds us. This is especially true for local and indigenous communities living in remote areas, whose livelihoods are increasingly threatened by deforestation and related economic activities such as palm oil production, which also has a severe impact on both the climate and the residents’ health as forests are often burnt in Indonesia. Villagers in West Papua have vowed not to let their forests be encroached by logging and palm oil companies, like what happened on Sumatra and Kalimantan where massive deforestation has posed threats to the natural environment. Although Papua is still home to vast forests, which provide a livelihood for many villagers, the island is not free from the palm oil industry or illegal logging. In recent years, West Papua saw expansion of the palm oil industry as business boomed in certain regencies. However, villagers have been fending off the expansion of the palm oil industry in several regions, like Sira village in South Sorong regency. “We can’t live peacefully if companies enter our area. This is where we live. If companies expand into our area, sago plantations will be closed and destroyed,” 54-year-old Yoel Semere said while sitting on a hill overlooking a large swath of pristine forests. The village, home to 37 households and 186 people living on 2,000 hectares with 1,850 ha making up the forest area, is no stranger to industry expansion. The villagers recorded that from 1995 to 2003 a logging company was in the village’s forests, which are home to merbau trees, the number one timber commodity on the island. The villagers successfully campaigned against the company with the help of several non-governmental organizations, forcing the company to stop its operation in the region. Still, the villagers cannot rest easy as palm oil companies have started to expand operations in the region in recent years. The villagers rely on the forests. Besides growing sago as their main food, the villagers sell nontimber products, such as rattan, at the market at Tanembuan, the capital of South Sorong, some 10 kilometers away from the village. Data from Greenpeace Indonesia shows there are about 48 palm oil companies that have permits in Papua and West Papua, with the size of each concession ranging from 25,000 to 45,000 ha. After fighting to keep companies out of their areas, the villagers of Sira along with the neighboring Manggroholo village became the first villages on Papua to have their rights to manage their forests acknowledged by the government. The South Sorong administration handed over the permits to manage the forests, called hutan desa (village forest) permits, to the village representatives on Thursday. The Environment and Forestry Ministry defines a “village forest” as a state forest managed by a village to improve its welfare. Greenpeace Indonesia forest campaigner Kiki Taufik heralded the acknowledgment as a landmark decision as it marked the first time villagers in Papua received rights to manage their own forests under the village forest scheme. The scheme was part of President Joko “Jokowi” Widodo’s land reform plan, which included the distribution of 12.7 million ha of land to local communities. He said the two villages had been targeted by palm oil companies that wanted to claim the land to be converted into oil palm plantations since 2013, and he commended the fight by the villagers to manage about 3,500 ha of government-acknowledged forests. 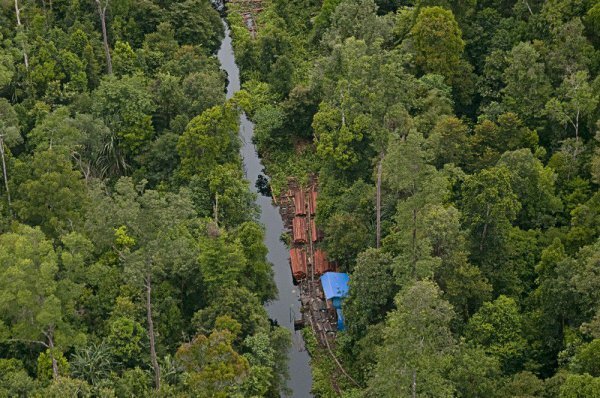 The Environment and Forestry Ministry’s chief of social forestry department in the Maluku and Papua region, Sahal Simanjuntak, said the government hopes to grant more forest permits to villages in the future.